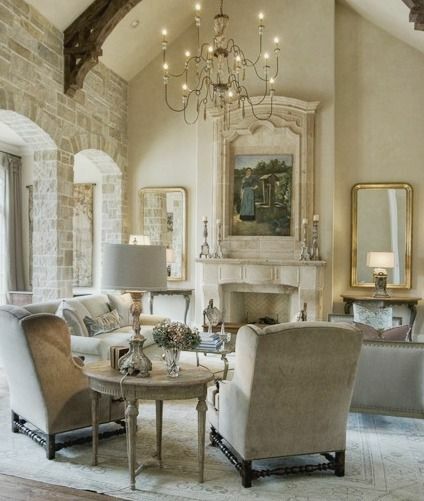 Plaster Walls, Finishes and Segreto Stone: French Country Inspiration! 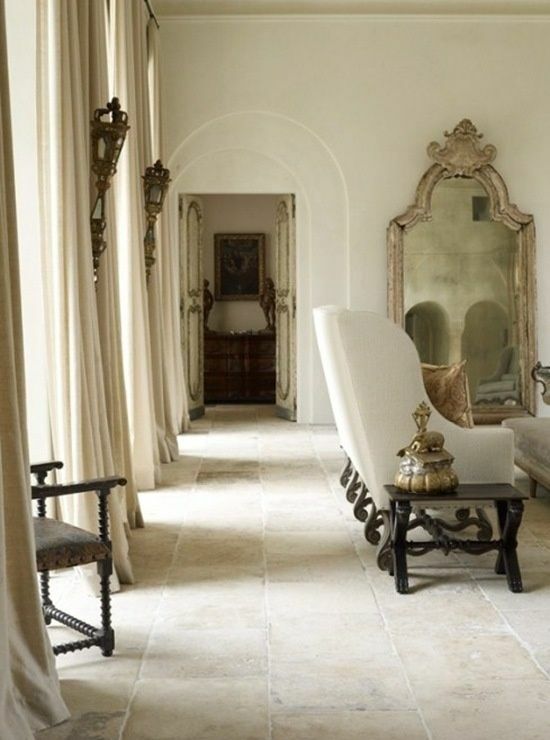 French country interior design fantasy inspiration alert! 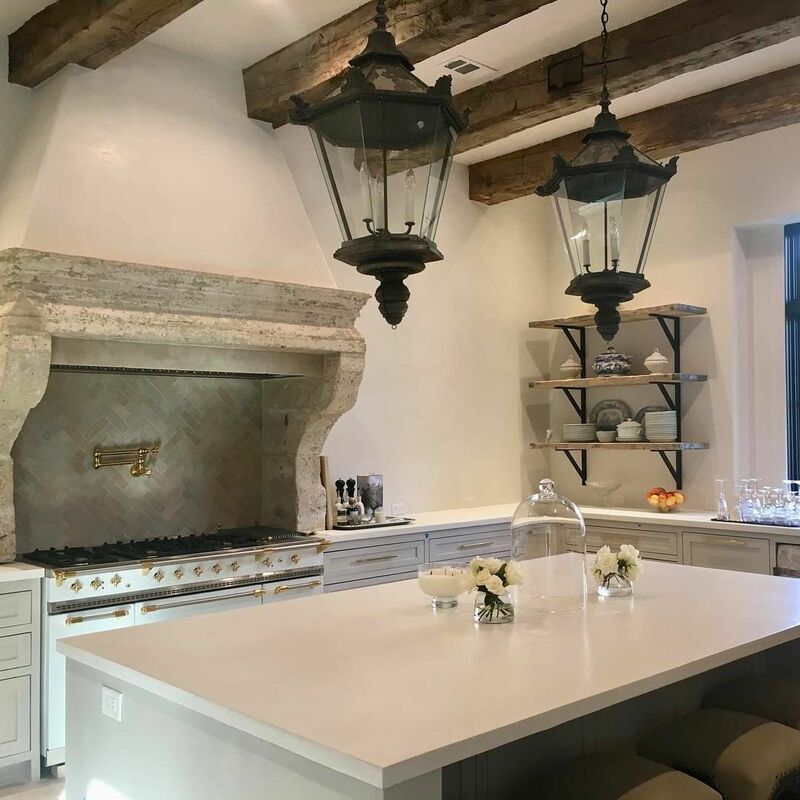 Exquisite Plaster Walls, Finishes and Segreto Stone by Segreto Finishes awaits in these elegant interiors with Old World flavor. We simply cannot, will not, go too terribly long a stretch without our Segreto Finishes fix! Without a doubt, you will delight in the timeless, lovely, artful French country interior design inspiration in store here! Segreto Stone by Segreto Finishes in a magnificent kitchen. Renouveau Antiques. @mol.design. Certainly a lovely French Country interior design moment indeed with Old World style too. Segreto’s brilliant founder and leader, Leslie Sinclair has been a friend to this blog for many moons, and we love her back. The artistic painting inspiring Sinclair for decades keeps blooming more beautifully each year for her lucky clients treated to premier Segreto finishes and gracious hospitality. Segreto Finishes now offers Segreto Stone – a durable material to consider for countertops, sinks, tables, and more. I think my favorite application of this miracle stuff is for framing cabinet bases (you’ll see what I mean below). In a previous episode of Hello Lovely, Segreto loaned us expertise for choosing the best paint colors and finishes…a topic as evergreen and valued by we designgeeks as any. Do take that ditty for a spin (as the ancient, uncool bloggers who blogged pre-Pinterest say). Choosing the best paint colors and finishes is one thing; executing soulfully is quite another and where Segreto shines. The quality work of more than 40 artisans at Segreto has contributed to beautiful interiors lauded in House Beautiful, Veranda, and more. 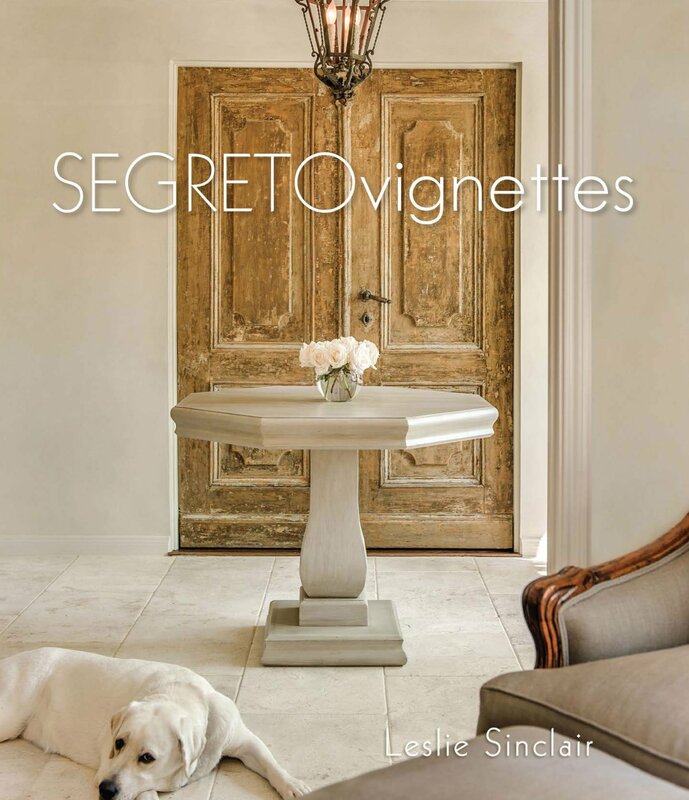 Leslie authors the engaging and endearing blog, Segreto Secrets where girlfriend always shares the good secrets and the best interiors, art and finishes. 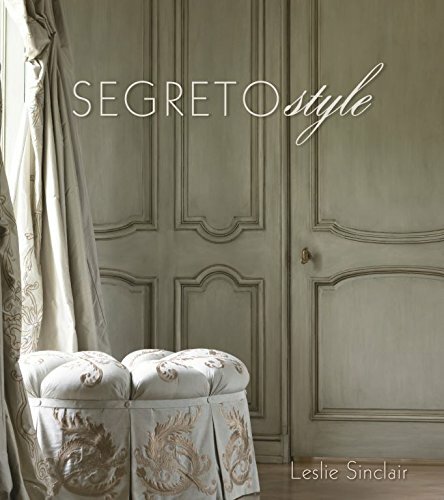 Additionally, she is the author of three gorgeous design books: Segreto: The Secrets to Finishing Beautiful Interiors, Segreto Style and Segreto Vignettes. 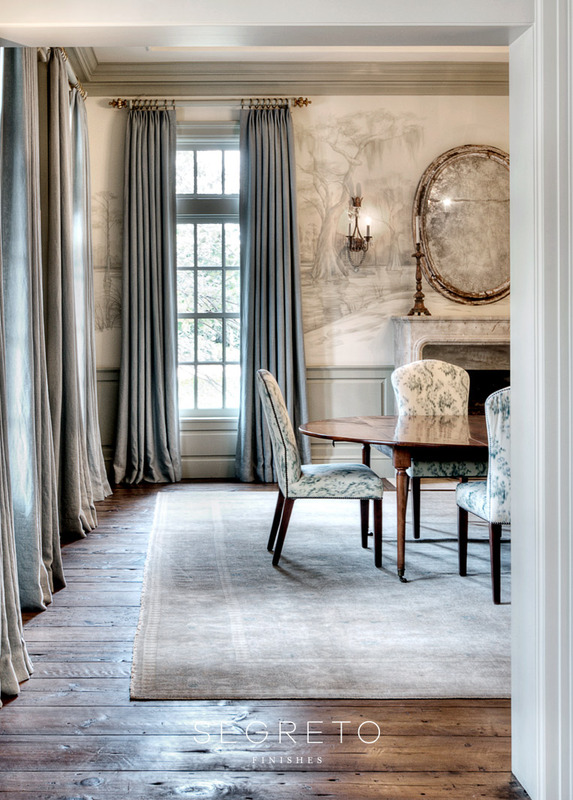 Elegant dining room design by Lisa Dalton with finishes by Segreto Finishes…lovely, indeed! Beautiful Segreto Finishes in a classic and traditional dining room. 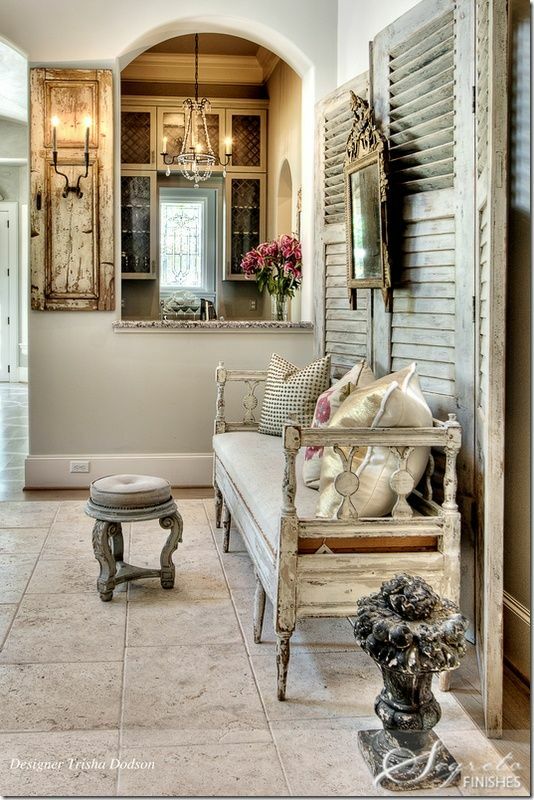 Certainly a lovely French Country interior design moment indeed with Old World style too. 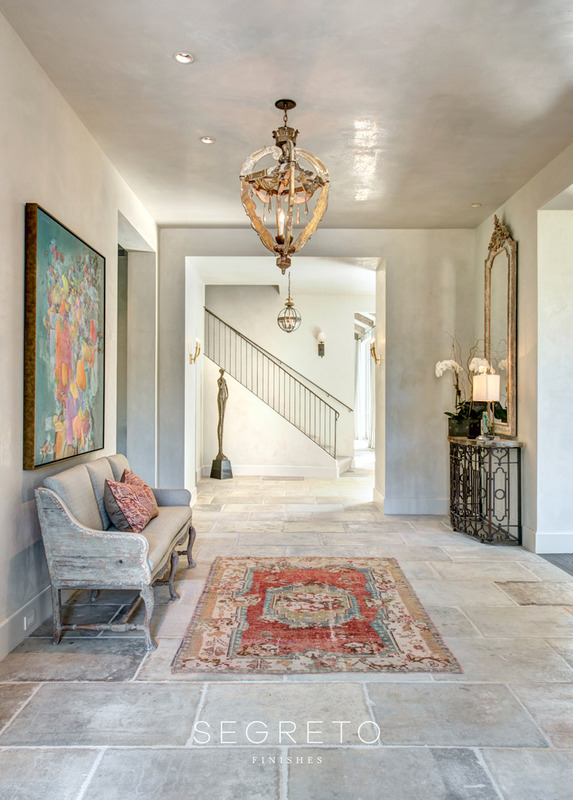 Polished plaster ceiling and beautiful wall finishes by Segreto Finishes in an entry. Plaster Walls, Finishes and Segreto Stone. Entry with beautiful Segreto finishes. Design: Trisha Dodson. Gracie Mural in a beautiful interior with Segreto Finishes. Design: Kemble Interiors. Design: Kara Childress. 17th century reclaimed stone countertops in a beautiful kitchen with finishes by Segreto. French country kitchen with finishes by Segreto. Design: Cindy Witmer. Architectural Consultant: Sarah West. Beautiful Old World kitchen with Segreto Finishes. Design: Kara Childress. 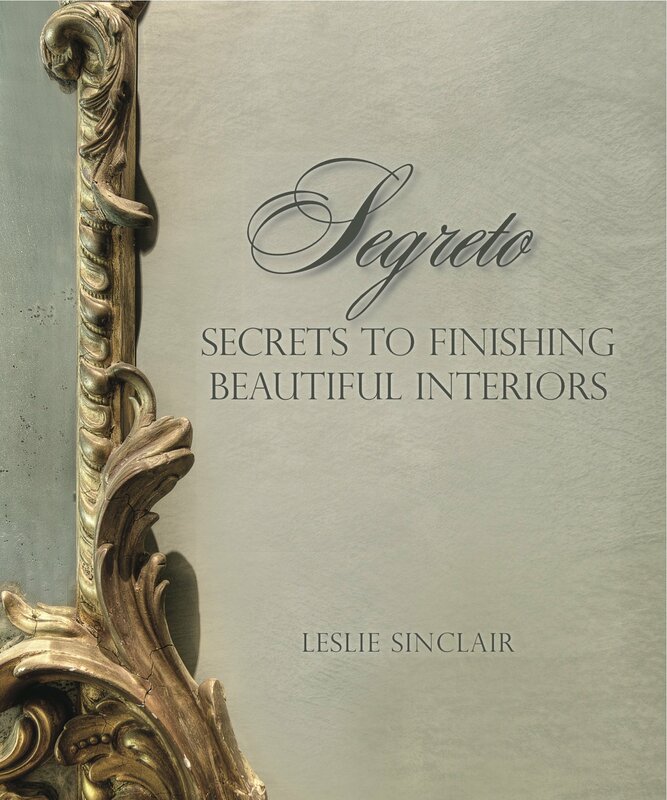 Segreto: Secrets to Finishing Beautiful Interiors. Designer: Sara Howell. Bathroom with wall treatment by Segreto Finishes. Lovely, indeed! 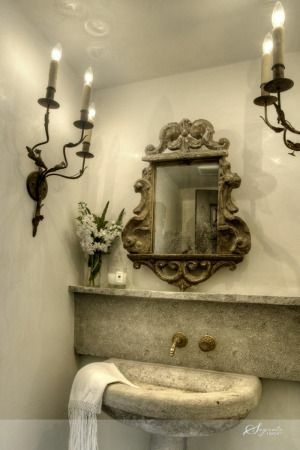 Plaster walls by Segreto finishes in an elegant bathroom. 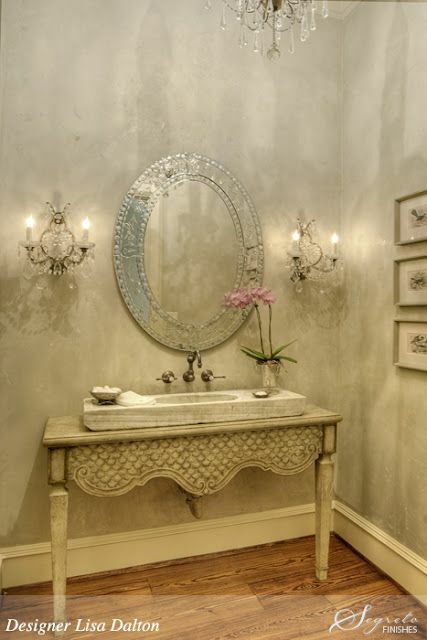 Rustic elegance in a European inspired bathroom with plaster walls by Segreto Finishes. Certainly a lovely French Country interior design moment indeed with Old World style too. Design by Kara Childress in a living room with Segreto Finishes. In case you need more beautiful French country interior design inspiration in your life too. 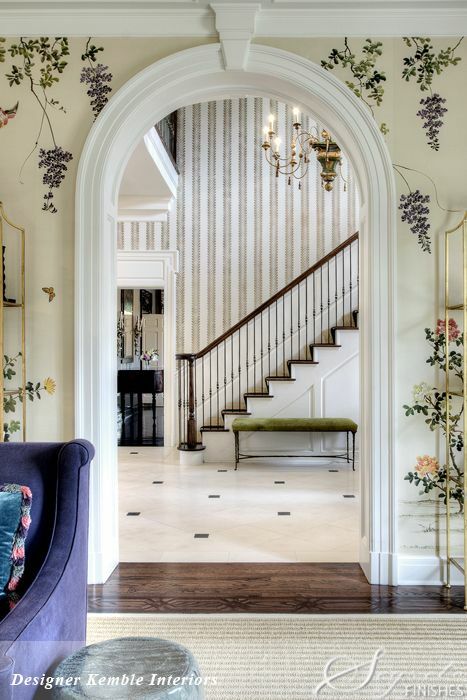 French country design in a living room with Segreto Finishes by Eleanor Cummings. Certainly a lovely French Country interior design moment indeed with Old World style too. With the amazingly rustic elegant interiors above, I know it will certainly be hard to narrow down a favorite…have one? Visit this story too, with help from Segreto to choose paint colors. My designer friends (including Leslie) also provided their favorite tranquil paint color ideas RIGHT HERE. Something’s Gotta Give Kitchen Design Inspiration! Next Post 10 English Farmhouse Style Decorating Ideas! Amazing! Stunning! And every other word that covers beauty!!! And could I just say in my dreams I have 17th century reclaimed stone countertops! 😉 Thank you for sharing all the beauty. Thanks so much for reading! Can you EVEN imagine that sort of beyond bespoke detail in a kitchen!?! I can only imagine experiencing that kitchen in person – dreamy for sure! Leslie and her crew are true artisans. How did she learn this very, old trade? She brings old world touches to her new builds. Exquisite! Lovely the article and pictures and I clicked on all the previous stories you wrote. I have a question on how you did a color wash on your bedroom furniture. I know you said you watered down the Edgecomb Grey (I think it was) with water and applied it. Can you give a few more details on how you did it Did you put some type of sealer on top after you were finished? I want to try doing something like that but don’t know where to start. Thanks a million! Thanks for reading! The paint color I used for the wash over our bedroom furniture is BENJAMIN MOORE Revere Pewter, satin finish – thinned a little with paint – sorry I didn’t pay attention to proportions. With a small brush for painting trim, I dragged the wash over the furniture lightly so as not to get solid coverage. This was a very forgiving method since as long you go with a light hand, you can build the finish. To seal it, I rubbed on with a clean rag a light layer of cream wax found at Home Depot which is also used as a second step for chalk paint. I am NOT meticulous about such projects because I am never going for a “new” or perfect look. Being lazy and a little sloppy has its rewards for such an aged, timeworn effect. I don’t like sanding, dust, mess, and taking too much time so I experiment first on a small area then just bite the bullet. My thought is always: if I hate it later, I’ll paint it a solid color…Hope this helps! I’ll try to do an updated post about our bedroom to get these thoughts in there. Yes yes yes!!!!!!!!!!! Leslie’s work is gorgeous!! !